Bead, Dione®, Hemalyke (manmade) and imitation rhodium-plated brass grommets, 13x10mm faceted rondelle with 4-4.5mm hole. Sold per pkg of 4. Item Number: H20-9332NB Have a question about this item? 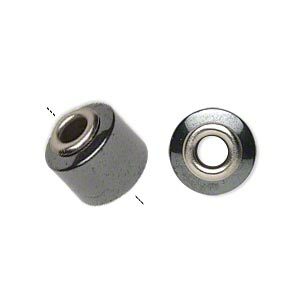 Part of the Dione® Add A Bead system, non-magnetized Hemalyke beads have machine-drilled 4-4.5mm holes, imitation rhodium-plated brass grommets and a nice metallic polish. The solid Hemalyke beads work great with Dione® Easy-On Chain and caprice chain. 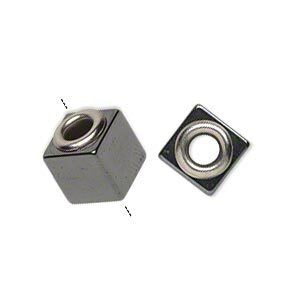 Bead, Dione®, Hemalyke (manmade) and imitation rhodium-plated brass grommets, 12x10mm cube with 4-4.5mm hole. Sold per pkg of 4. 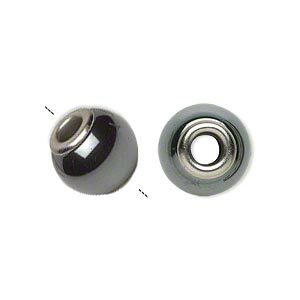 Bead, Dione®, Hemalyke (manmade) and imitation rhodium-plated brass grommets, 13x12mm rondelle with 4-4.5mm hole. Sold per pkg of 4. 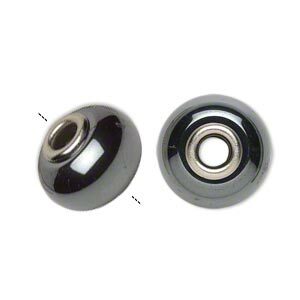 Bead, Dione®, Hemalyke (manmade) and imitation rhodium-plated brass grommets, 17x12mm rondelle with 4-4.5mm hole. Sold per pkg of 4. 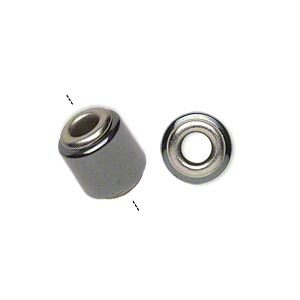 Bead, Dione®, Hemalyke (manmade) and imitation rhodium-plated brass grommets, 12x11mm round tube with 4-4.5mm hole. Sold per pkg of 4. 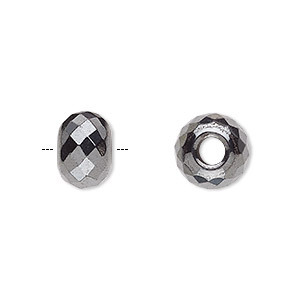 Bead, Dione®, Hemalyke (manmade) and imitation rhodium-plated brass grommets, 13x12mm twisted rondelle with 4-4.5mm hole. Sold per pkg of 4. 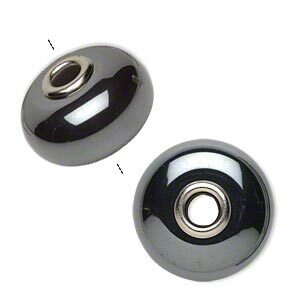 Bead, Dione®, Hemalyke (manmade) and imitation rhodium-plated brass grommets, 20x13mm rondelle with 4-4.5mm hole. Sold per pkg of 4. Bead, Dione®, Hemalyke (manmade) and imitation rhodium-plated brass grommets, 13x12mm round tube with 4-4.5mm hole. Sold per pkg of 4. 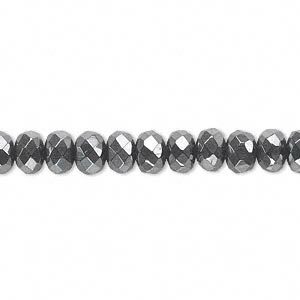 Bead, Hemalyke (man-made), 4x3mm faceted rondelle. Sold per 15-1/2" to 16" strand. Bead, Hemalyke (man-made), 15x10mm faceted rondelle with 5mm hole. Sold per pkg of 6. 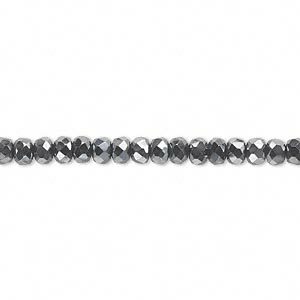 Bead, Hemalyke (man-made), 6x3mm faceted rondelle with 0.9-1.2mm hole. Sold per 15-1/2" to 16" strand.